In a private letter to his wife published for the first time on February 15, 2014, it was revealed that Sir Alec Guinness (who, of course, portrayed Obi-Wan Kenobi in "Star Wars") was once visited by a ghost. 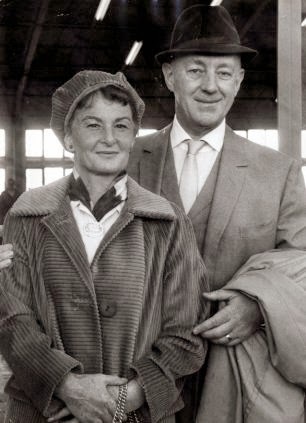 It was in 1984 during the filming of David Lean's "A Passage to India" in Bangalore, that the 69-year-old Guinness wrote to his wife Merula about the encounter. A very conventional white ghost appeared, an elderly... woman in grey white and heavily veiled. I couldn’t make out her face. She moved... with dignity down the side of my bed and as I clicked on the light she disappeared. Guinness's official biographer, Piers Paul Read claims he was not aware of the letter and stated, "Alec was quite superstitious... In the Navy he also had a premonition about being drowned in an oncoming storm. I don’t think he claimed to be psychic but he was open to the idea." Another "premonition" Guinness had lead him to warn James Dean not to drive on the day the young "Rebel Without a Cause" star died in that fateful car crash in 1955. Guinness passed away in England on August 5, 2000 at the age of 86.